Report reivews infrastructure policy and initiatives in the United States and around the world, examines future trends, and recommends approaches for infrastructure investment strategies to help enable long-term regional growth and prosperity. The report is based on interviews with infrastructure experts, plus information gathered at infrastructure forums and up-to-date research. “Over the years, ULI/E&Y reports have flagged the problems posed by outmoded U.S. infrastructure and proposed a host of multifaceted solutions based on global experience and local success. In contrast with its global competition, the United States is lurching along a problematic course—potentially losing additional ground. After more than 30 years of conspicuously underfunding infrastructure and faced with large budget deficits, increasing numbers of national and local leaders have come to recognize and discuss how to deal with evident problems. But a politically fractured government has mustered little appetite to confront the daunting challenges, which include finding an estimated $2 trillion just to rebuild deteriorating networks. Operating beyond their planned life cycles, these systems include roads, bridges, water lines, sewage treatment plants, and dams serving the nation’s primary economic centers. Despite the nation’s unemployment woes, the vast job-creation potential of infrastructure projects is being sidetracked by concerns about government spending appetites and potential cost overruns. Related benefits from reducing carbon footprints—energy efficiencies and greater independence from problematic foreign energy sources—are also failing to gain much traction. In 2011, “the U.S. effectively shrugs off infrastructure” in the face of escalating government deficits and cash-strapped taxpayers. Despite a welcome wave of political rhetoric about its importance to the country’s economic future and related worries about falling behind global challengers, a proactive U.S. infrastructure agenda remains buried underneath a long list of other budget imperatives—health care, Social Security, defense, public safety, and education, as well as the need to service the swelling government debt. No matter how desirable, ongoing investment in systems to keep the country competitive and functioning easily can get cast aside in the rush to plug budget leaks. The National Surface Transportation Infrastructure Financing Commission estimates that the annual gap between transportation needs and current investment by all levels of government ranges from $172 billion to maintain existing transportation infrastructure to $214 billion to improve system performance. The American Society of Civil Engineers estimates that investment of $2.2 trillion over five years is needed to maintain and upgrade the nation’s infrastructure. For transportation, the projected need was $930 billion over five years, or $186 billion per year. The Miller Center of Public Affairs, University of Virginia estimates that an additional $134 billion to $262 billion must be spent per year through 2035 to rebuild and improve the nation’s road, rail, and air transportation systems. The following is how the process could evolve during the next decade, given current fiscal predicaments and growing needs. As federal stimulus runs dry and states hold the line on tax increases, their only choice for balancing budgets will be slashing these costs. “The economic slowdown ironically may have bought more time—reducing volume of traffic on roads. But in recovery, increasing stress on aging systems will take a greater toll. The drumbeat will grow louder from governors, who will demand more federal funding for basic repair and maintenance. Future transportation authorizations and appropriations bills could shift funding from new projects to fix-it-first initiatives but fall far short of meeting overall needs. Focus funding on the most viable projects with achievable economic benefits and scotch others—a responsible model for overall infrastructure expenditures. For the immediate future, the lion’s share of transportation dollars still get dispersed to states via formulas without regard to effectiveness or performance. 2007 Commercial Buildings Energy Consumption Survey – CBECS – Data Issues! via www.4clicks.com – Premier efficient construction delivery method software provider – JOC, SABER, IPD, IDIQ, SATOC, MATOC, MACC, POCA, BOA …. The National Institute of Building Sciences is alarmed that efforts to produce high-performance buildings may stall without up-to-date data following the news that the U.S. Energy Information Administration (EIA) will not be releasing results of its 2007 Commercial Buildings Energy Consumption Survey (CBECS) due to statistical issues. 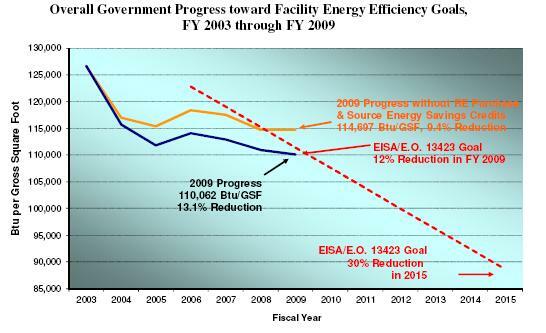 The Institute is also troubled because EIA is suspending work on its 2011 survey due to budget constraints, which means the last reliable data, from the 2003 survey, is nearly a decade old. Many efforts within the building community rely on the CBECS statistics, in particular the EnergyStar program. EnergyStar, which is overseen by the Environmental Protection Agency and Department of Energy, uses CBECS data to establish its energy use benchmarks for buildings. 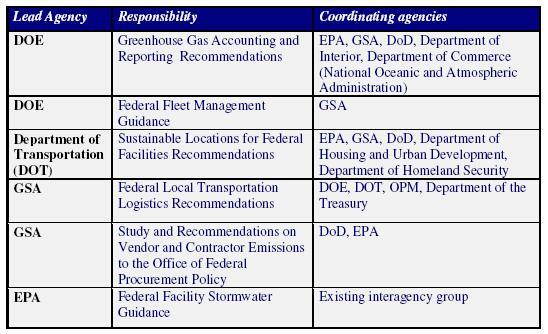 Both the U.S. Green Building Council’s Leadership in Energy and Environmental Design (LEED) for Existing Buildings (LEED-EB) and the Green Building Initiative’s GreenGlobes tools reference EnergyStar as a baseline and some jurisdictions, such as Washington, D.C. and New York City, require disclosure of a building’s EnergyStar score. Because the EnergyStar program compares a building to its peers, the value of making comparisons will diminish as the underlying CBECS data becomes older. In the wake of the troubling news from EIA, the Institute is establishing a High-Performance Building Data Collection Initiative to identify a path forward for collecting and disseminating data on all high-performance building attributes, not just energy use. This Initiative will allow the building community to still obtain the building energy data necessary to achieve national objectives for high-performance buildings. Patrick C. Suermann, Maj, USAF, P.E. Raja R.A. Issa, Ph.D., J.D., P.E. This research assessed perceptions about the impact of the implementation of Building Information Modeling (BIM) on construction projects. Survey questions centered on impact with respect to six primary construction key performance indicators (KPIs) commonly used in the construction industry as accepted metrics for assessing job performance. These include: quality control (rework), on-time completion, cost, safety (lost manhours), dollars/unit (square feet) performed, and units (square feet) per man hour. Qualitative data was collected through a survey instrument intended to assess practitioners’ perceptions about BIM impacts on the six Key Performance Indicators. The survey was targeted at National Institute of Building Sciences (NIBS) Facility Information Council (FIC) National BIM Standard (NBIMS) committee members. The survey, with a response rate of 50 completed surveys, showed preliminary results indicating that the NIBS FIC NBIMS members felt that a BIMbased approach improves construction metrics compared to construction without BIM. Specifically, the highest three ranking KPIs in order of most favorable responses were quality, on time completion, and units per man hour. The second tier of favorable responses included overall cost and cost per unit. Finally, only 46%, or less than half of the respondents thought that construction safety was improved through BIM. In 2004, the National Institute of Standards and Technology (NIST) published a report stating that poor interoperability and data management costs the construction industry, approximately $15.8 billion a year, or approximately 3-4% of the total industry. Since this report, many have labeled Building Information Modeling (BIM), an emerging technological information management process and product, as the answer to this problem. “A basic premise of BIM is collaboration by different stakeholders at different phases of the life cycle of a facility to insert, extract, update or modify information in the BIM to support and reflect the roles of thatstakeholder” (NBIMS 2007). This paper focuses on only the first phase of our research, which proposes to accomplish data collection and analysis in four phases. These four phases will be aligned with a process originally created by United States Air Force Colonel John Boyd (1927-1997) and shown in Figure 1. Information Management (IM) professionals have often used Boyd’s model, which is widely known as the “OODA Loop” (Observe, Orient, Decide, and Act), to 7th International Conference on Construction Applications of Virtual Reality: October 22-23, 2007 207 demonstrate the continual improvement process of strategic decision making. The OODA Loop will be used here to structure the research to ensure that each phase builds on the one before it and in this way the conclusions will be logically valid. Boyd developed the theory based on his earlier experience as a fighter pilot and he initially used it to explain victory in air-to-air combat. But in the later years of his career; he expanded his OODA Loop theory into a grand strategy with benefits to anyone who needs to pragmatically and quickly process information. Colonel Boyd’s philosophy dictated that individually, people will observe unfolding circumstances and gather outside information in order to orient their decision making system to “perceived threats.” Boyd states that the orientation phase of the loop is the most important step, because if decision makers perceive the wrong threats, or misunderstand what is happening in the environment, then the decision makers will orient their thinking in erroneous directions and eventually make incorrect decisions. Boyd said that this cycle of decision-making could operate at different speeds for different organizations but the goal is to complete the OODA Loop process at the fastest tempo possible. However, in this research, it will be used to make the best, not necessarily the fastest, choices about the proper items to collect and investigate. Through Boyd’s OODA Loop; this research will be structured in four phases aligned with the ideas of observation, orientation, decision, and action (Boyd 2007). Because BIM is so new in the US Architecture, Engineering, Construction, and Operations (AECO) industry, there is little empirical data regarding its application and use. Therefore, in addition to the typical review of literature in the field, a qualitative survey was administered to garner initial data about practitioners’ perceptions about the effects of BIM on construction key performance indicators (KPIs). This survey data was used to determine current BIM practices and perceptions to formulate additional research hypotheses for use in Phase II. Phase I included publishing a web-based survey with the sole purpose of garnering industry stakeholders’ impressions of BIM’s effect on construction through specific construction metrics based on six (6) primary, quantitative construction KPIs: Quality Control, On time Completion, Cost, Safety, $/Unit, Units/Manhour as determined in a 2003 study by Cox et al. (2003). In this way, qualitative industry perceptions were quantified. The survey was hosted on http://www.zoomerang.com through an account login funded by the National Institute of Building Sciences, Facility Information Council (NIBS-FIC). In concert with the National BIM Standard (NBIMS) Committee testing team, a subset of the NIBS-FIC, this data was shared for their own empirical research. After receiving University of Florida Institutional Review Board (UFIRB) authority, the first iteration of the survey was available from March 5, 2007 until April 5, 2007 and was advertised to a select group in two different ways: direct email through a distribution list and a website advertisement. First, an email was sent to the FIC listserv distribution list. This listserv had 104 members from across the AECO industry at the time of the survey’s launch. Halfway through the month-long survey availability, a reminder email was sent to the listserv asking for more people to complete the survey or for those who had started the survey to complete the survey. The second method of garnering qualified respondents was to advertise the survey on the NIBS FIC website, http://www.facilityinformationcouncil.org/bim, under their “NEWS” portion. Since most people only happen upon this website when signing up to join the NIBS-FIC NBIMS committee, and this website is only “advertised” in the AECO community, the possibility of tainting the data was considered negligible. CSI’s (2007) Omniclass Table 32 for organizational roles. The next question, #17, had to do with cost. Cost was defined as “cost variance in actual costs to budgeted costs.” Here there were five sub-questions under this one question that centered on different types of costs including: General Conditions, Structural, Mechanical, Electrical, and Plumbing (MEP), Finishes, and Overall. – early” on the favorable side of the scale. Part III of the survey was structured to determine whether there was any one construction KPI which BIM impacted more than any other in a logical ranking fashion, so that it could be investigated more thoroughly in Phase II of the research while collecting case study data. Respondents were asked to rank the KPIs on a Likert scale from 1-10. This means that 1 would be a score showing that BIM inhibited construction to 5 equalling no effect to 10 showing the most improvement. Part IV of the survey was intended to gather open ended responses from respondents that could help identify problems with the current survey, necessary points to investigate in future surveys, receive contact information if people wanted specific follow-up information, and give respondents a chance to express themselves if they felt the survey stifled their responses in any way. Phase II will include building on the survey data garnered in Phase I and will test the primary research hypothesis and possible follow on hypotheses by conducting embedded research on federal construction projects. After assessing and analyzing the data and comparing it to longitudinal data from construction projects similar in size and scope to those studied in Phase II, Phase III will include revisions and changes to the data collection model. In addition, a wider cross section of construction projects will be studied including commercial and industrial projects. Phase III entails comparing the data collected in Phases I and II to longitudinal data. This would be accomplished by using data collected and maintained by research bodies such as the USACE Civil Engineering Research Laboratory (CERL) or the Construction Industry Institute (CII) and comparing their baseline construction data to BIM case study data from Phase II. Lastly, the data will be analyzed to determine if trends exist that demonstrate significant differences in productivity or performance according to the construction KPI metrics. In Phase IV, after the bulk of the data is collected, the lessons learned from conducting the embedded research will be applied to a further revised methodology recommended for future case study data collection. The first iteration of the survey was sent out to the NBIMS committee of the NIBS-FIC and was available from March 5, 2007 until April 5, 2007. Of the 105 people on the committee when the survey was closed out, 50 respondents fully completed the survey for a highly successful 48% response rate. The information below represents a summary of the results from the survey. Figures 2-5 show the data gathered through the Zoomerang online survey or data analysis derived from the data in the survey. Regarding gender, 86% (43/50) of the respondents were male and 14% (7/50) female. The age data of the respondents shows that the mode response was also the median age group, the 45-54 year olds with an overall normal distribution of respondents. There was only one respondent under 25 years old. As far as education 7th International Conference on Construction Applications of Virtual Reality: October 22-23, 2007 210 level, 86% (43/50) of the respondents had college degrees, with 56% (28/50) of them holding graduate or professional degrees. There was no definite trend indicated on the organizational revenue question, although the most frequent response was $1-$9.9 Million with 24% (12/50) of the respondents choosing this answer. Respondents’ geographic locations were varied with 47/50 respondents living in the U.S. and three from outside the U.S. (Note: despite being the U.S. NBIMS committee, several members live and work outside the U.S., but are either American citizens or are liaisons for wider interests such as the North American BIM buildingSmart Initiative (sic), etc. so it is possible for respondents on the U.S. NBIMS listserv to live outside the U.S.) The most frequent response by state was from Maryland, with 18% or nine of the 50 respondents living there. The organizational role data results showed that the two most frequent responses were from those with a Design Role with 44% (22/50) respondents and from those with a Management role, which accounted for 30% (15/50) respondents. Of the first most frequent response, Design Role, 73% (16/22) of the respondents were architects and 27% (6/22) respondents were engineers. For the second most frequent response, Management, 47% (7/15) were Vice Presidents in their organization and 40% (6/15) respondents were the Chief Executives of their organization. Respondents were asked to rate their perception of BIM’s impact on six KPIs. The following list is organized in order of the highest rated to the lowest rated of the six KPIs: Quality Control/Rework (90%), On-time Completion (90%), Cost-Overall (84%), Units/Man hour (76%), Dollars/Unit (70%), and Safety (46%). This was calculated by evaluating responses that exceeded the neutral Likert value of 3 and comparing that to the total number of responses. For example, 34/50 respondents opined that BIM “Improved” the Quality Control/Rework KPI, as well as 11/50 respondents opined that BIM, “Nearly Eliminates Rework” for a total rating of 90% (45/50). Full data on the responses can be seen in Figures 2 and 3. It is important to note that 46% or 23/50 respondents also felt that BIM has “No Effect” on safety or lost man-hours in construction projects, making it the KPI that in their perception is the least impacted by BIM. Respondents were asked to rank the construction KPIs according to their perceptions of how well BIM improved the given KPIs on a scale of 1-10, with 10 showing the most improvement, 5 showing no effect, and 1 showing that BIM inhibits the given KPIs. Organizing the construction KPIs according to merely adding positive response frequency percentages (anything over a score of 5), the KPIs score the following in order from most to least favorable: Quality (94%), On-time Completion (88%), Units/Man-hour (86%), Dollars/Unit (80%), Cost (80%), and Safety (54%.) When weighting the answers for the degree of favorability (Σ(%*100*Score)), the KPIs score the same: Quality (564), On-time Completion (528), Units/Man-hour (516), Dollars/Unit (480), Cost (480), and Safety (324.) This information is graphically illustrated in Figures 4 and 5. • Respondent # 3: A BIM will likely affect KPIs rather than the other way around. A good, comprehensive, structured source of accurate data that all the stakeholders can access will reduce stove pipes, redundant data and inaccurate information. It will make it easier to keep the data current and to verify it. look at asking that questions that a builder, vendor, or trade contractor would ask. • Respondent #16: BIM will minimize change orders, and will also reduce the initial project cost. Contractors will sharpen their pencils and will provide pricing per known factors, the number of unknowns and field coordination efforts are reduced. selection. The other response was, “BIM is a tool for visualizing and coordinating AEC work and avoiding errors and omissions,” received 30% or 15/50 responses. While this response is not necessarily incorrect, it does not align with the NBIMS’ view of the definition, which means that 15% of the respondents from the NBIMS committee have a personal definition of BIM that is different than the committee’s formal definition. Thus, there is still some work to be done for the NBIMS Committee to educate and inform the AECO community, even within its own organization. As the results suggest, the respondents felt that BIM is most likely to positively impact the construction KPIs of quality and on time completion. More research needs to be conducted in order to corroborate the “BIMfavorable” results here. While the respondents are certainly knowledgeable about BIM because of the demographics shown herein and membership on the NBIMS listerv, their affiliation could have also biased their results. Additionally, quantifying the impact of a BIM approach through real world construction case studies will offer a more compelling argument for BIM adoption by AEC firms. A new study from McKinsey finds that a comprehensive program of cost-effective energy efficiency measures could reduce US annual energy consumption by 23 percent by 2020. This reduction in energy use would require a $520 billion investment but save $1.2 trillion in energy costs (these figures are discounted to present dollars). McKinsey estimates that 65 percent of these savings would come from improvements made to the industrial and commercial sector; the remaining 35 percent would come from residential improvements. According to the report, these impressive results would require an annual investment of approximately $50 billion in energy efficiency – an increase of 400 to 500 percent over US spending on energy efficiency in 2008. McKinsey recommends a “Holistic Implementation Strategy” to rapidly scale this increase in energy efficiency investment. This strategy requires recognition across all sectors of the economy that energy efficiency is a critical component to meeting the country’s energy needs while the United States transitions to low carbon energy sources. The strategy also requires public and private sector support to develop innovative funding vehicles and strengthen national building codes. Finally, all stakeholders in the energy economy will need to align in a common pursuit of increased energy efficiency.